How Will You Finance Your College Costs? College is only a few weeks away. Do you know how you’re going to pay for tuition? According to the College Board, the annual cost at four-year private nonprofit colleges averages $38,500. In addition, 2.8 percent of all degree-grantnig colleges — 128 institutions — charged $50,000 or more for tuition, fees, room and board during the 2011-12 academic year, according to information from the Chronicle of Higher Education. College is becoming more costly. But there is another factor – a decline in income. U.S. Census data shows that the average household income dropped six percent to $67,500 between 2006 and 2010. Combined with the rising costs of education and the lowering household income is the fact that scholarships and grants are becoming harder to get. 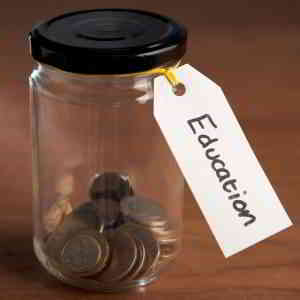 Only 35 percent of families used scholarships according to Sallie Mae, the largest private student lender. In the last academic year, families used loans to cover 27 percent of college costs and families used grants and scholarships to cover 29 percent of college costs last year. Families are now turning toward zero-interest loans from colleges, credit cards, tuition installment plans, and even home equity loans to cover college costs. Why are families looking at non-traditional means? The annual interest rates on many federal student loans range from 5 percent to 7.9 percent. Compare this to mortgages, which are averaging an interest rate of 3.5 percent or less. Also, in June of this year, Congress extended the 3.4 percent interest rate on subsidized Stafford loans for one more year, but the rate is due to double next year unless there is another extension. Private student loans typically have rates as high as 16 percent, with the rate determined in large part by borrowers’ credit scores. How do you know which is the right solution for you? If you’re unable to secure a federal student loan, grant, or scholarship, what’s your next step? Just because paying for your college education by using a credit card is possible, that doesn’t mean it’s the best way to finance your education. AmOne has years of experience and a wealth of information available that can help. Our knowledgeable associates are ready answer your questions on student loans, personal loans, unsecured loans, and more. AmOne offers solutions; your call to us is free and we won’t try to sell you anything. Find out how to reach us and learn more about how AmOne can help you today. Previous Previous post: What’s Your Plan for Social Security?